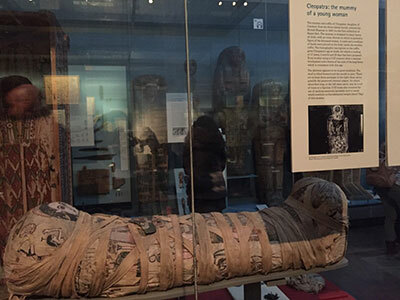 Sociology student, Peyton reviews her visit to the British Museum and explains how it’s helped with her course. As I settled into London one of the first things I did was go to the British Museum. I had heard about it so much back at home, and I was dying to see the Rosetta Stone in person. It did not disappoint. I spent a few hours in the museum just trying to check out as many artefacts and absorb as much information as possible. I felt I had learnt a wealth of new knowledge in just a few hours. 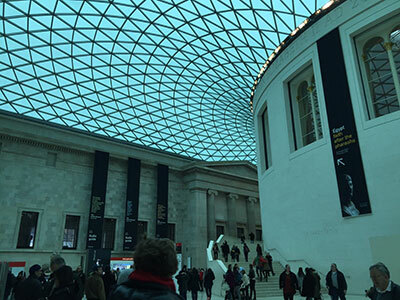 But even in three hours, it is impossible to see everything the British Museum has to offer. So a few weeks later, I returned. This was after I began my classes at City University London, and that really changed my experience for the better. I walked into the museum with a brand new perspective on everything that was inside. After just a few weeks of my Gender, Crime and Justice Sociology class, I realised I was thinking in ways I never had before. Rather than look at an object and marvel at its glory, I was more intent on reading the history of it and trying to take myself back to the date it was originally from. As I stared at the mummy of Cleopatra, I was thinking about how different gender roles must have been back then. I moved on to more recent ages and appreciated the beautiful jewellery they made in the last couple of centuries and how amazing it must have been to wear. But then I also remembered how women were considered only as property back then, and maybe that piece of jewellery was all they had. Aside from gender, I gazed upon weapons ranging from hundreds to thousands of years old. This had me thinking about the immense changes crime has gone through over the centuries. One of the most common things centuries ago was that men battled with swords to their death. I couldn't even imagine modern-day men actually fighting with swords unless it was some sort of reenactment or an organised fencing match. 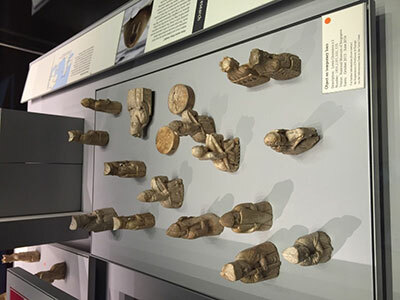 One of my favourite items in the British Museum is the Lewis Chessman set. The first time I visited it, I enjoyed them a lot. However, the second the time, I was now thinking about how women were most likely not allowed to play and how even today there is a large shortage of women chess players. My module has introduced me to critical thinking more than I had ever done before, whether it be gender and crime related or not. I felt as if I was learning and questioning so much more on my second trip to the museum. One module has already given me so much to consider that I would have never done before. I am thankful that even just a few sessions in, I am thinking differently and more in depth than I had ever imagined. I cannot wait to visit another museum and continue to critically analyse everything in store for me. My experience at City has opened me up to a world of ideas, thinking, and possibilities.